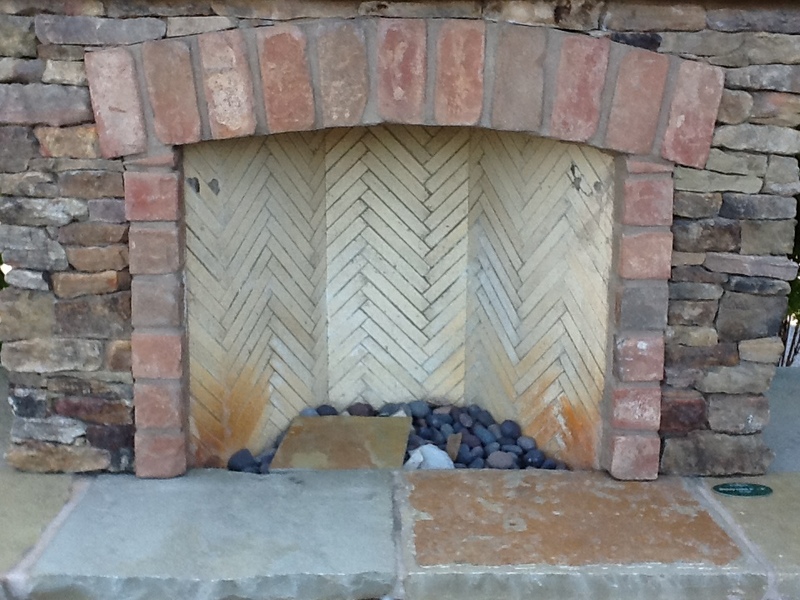 Are you comparing Traditional Fire Clay Bricks with imported all-natural Soapstone Firebrick? 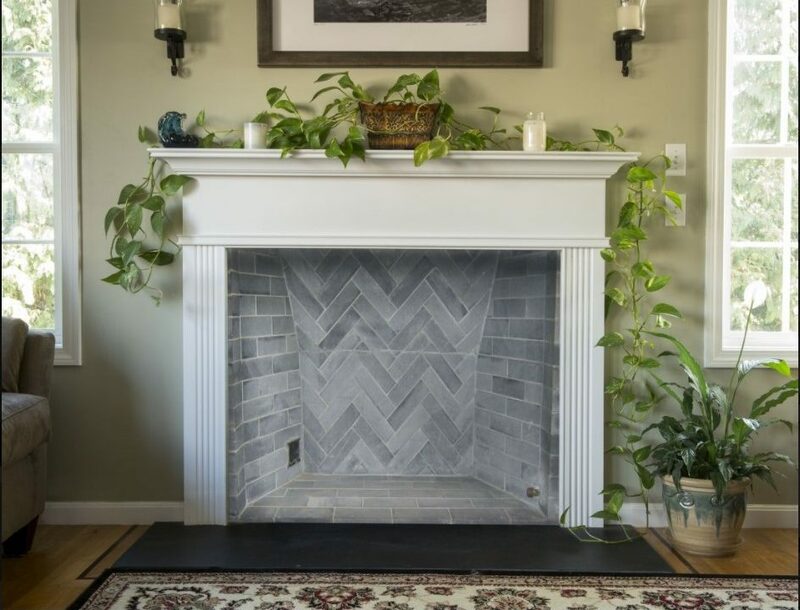 You’ve chosen the perfect mantel & surround – why not design your fireplace using the dove gray beauty of Soapstone bricks instead of fire clay bricks? 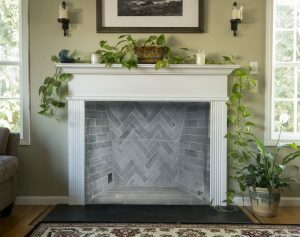 Soapstone bricks’ special mineral properties make it ideal for lining fireplaces. Soapstone is a refractory material: it can withstand high temperatures without cracking. But perhaps the best thing is the look: a soft gray firebrick with natural veining & texture. It is a real upgrade to ordinary fire clay brick. And after all, what part of a fireplace do you look at most: the firebox! 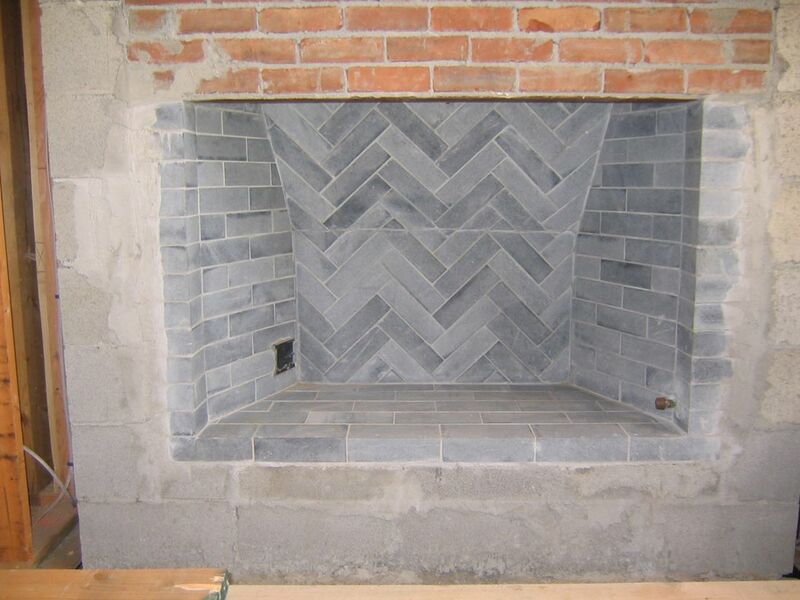 Soapstone bricks will make a beautiful back drop to your next fire. 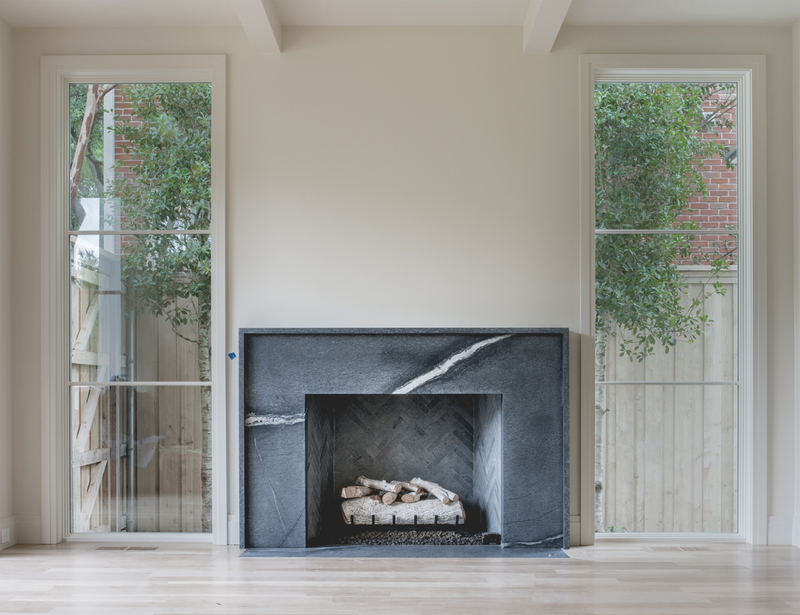 Our Soapstone bricks is suitable for use with both gas and wood burning fireplaces, and is often used to line the interiors of Isokern™ or FireRock™ fireplaces. 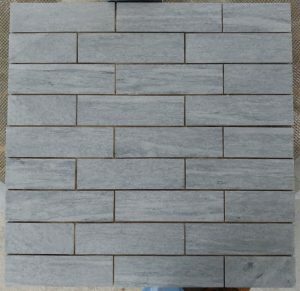 We stock our Soapstone bricks (which is much better than fire clay bricks) in four different sizes, and we ship nationwide. 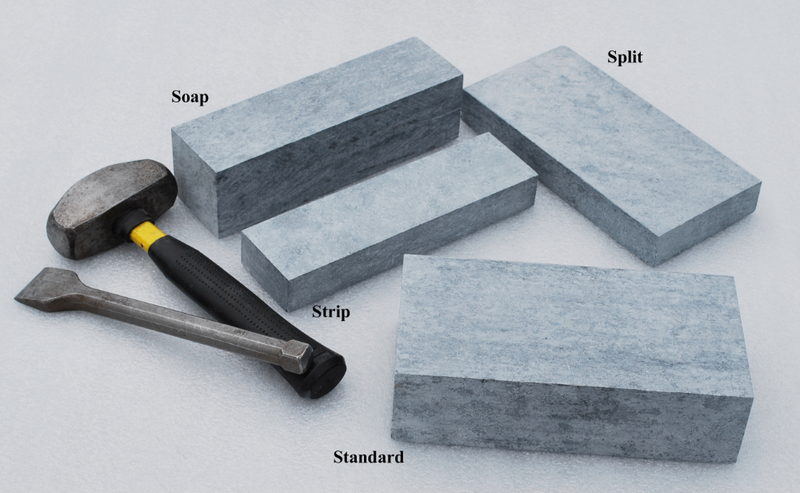 Send us an email, or use the inquiry form at the bottom of this page to get prices, installation tips, layout guides, and a calculator that will show you how many soapstone firebricks you would need for your project. A metamorphic rock, primarily made of the mineral talc. It is not anything like limestone, marble, granite, slate or Soapstone bricks, it’s a totally different animal. It’s also not the rock "Talc" which is translucent and used primarily for carving. Real Soapstone bricks is technically called "Steatite", and is related to serpentine (green marble). It is reasonably soft and can be scratched with metal. 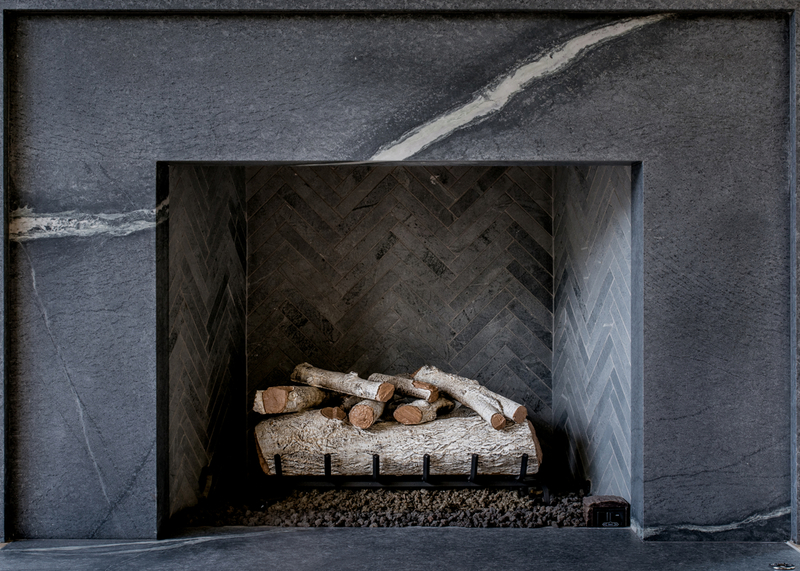 There are so-called "Hard Soapstone" being offered in the market, particularly for the countertop trade, but these are not true Soapstone and may not have the same thermal properties as Soapstone. On the other hand, fire clay bricks are of low quality and not recommended. Mariana Soapstone™ is quarried in Brazil. 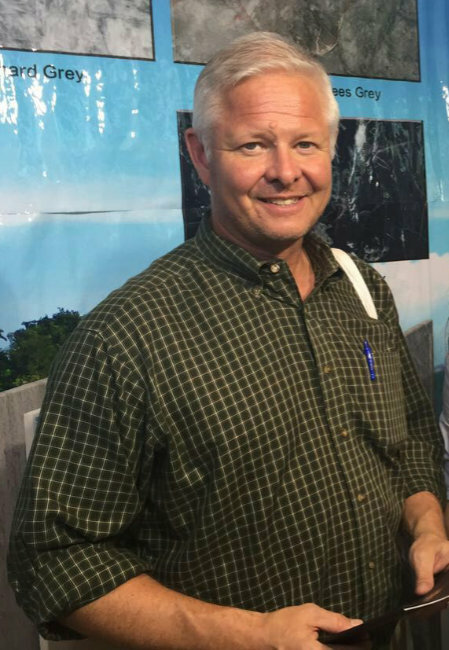 Soapstone bricks has been importing Brazilian Soapstone to the US for almost 30 years. 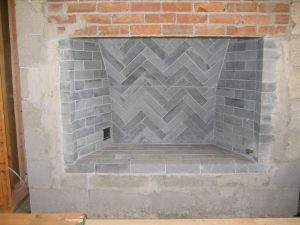 Can I get Soapstone bricks in a different color ? 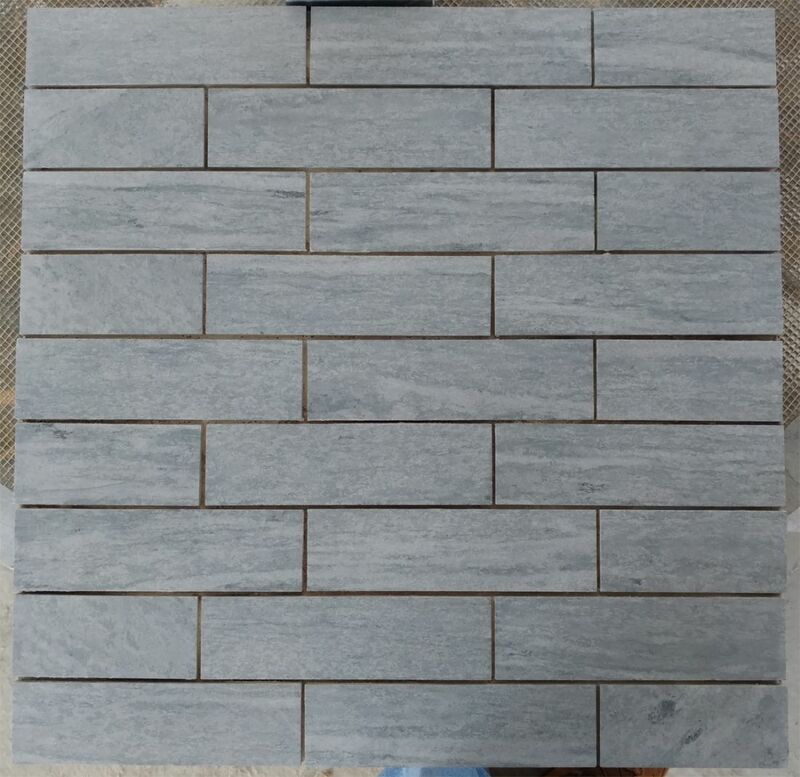 All varieties of true steatite Soapstone bricks are gray. The stone varies somewhat in the amount of patterning and white veining, but overall it is a very consistently colored stone. If you want the Soapstone bricks to be darker, you could apply a mineral oil/wax formulation, or a color enhancing stone sealer. 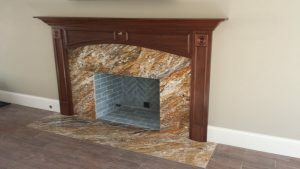 However, these products are not rated for use in high heat applications, and so should only be considered for decorative fireplaces that will not be actually used. This is another reason why you should choose Soapstone bricks over fire clay bricks. 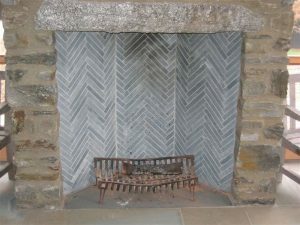 What’s so special about Soapstone bricks and heat? The mineral talc has a very low thermal coefficient of expansion. So when it is heated and cooled, the stone stays static, and it is therefore much less likely to crack and spall than other natural stones like granite. Plus, Soapstone bricks is extremely dense, and its molecular structure permits it to absorb and retain heat for long periods of time. 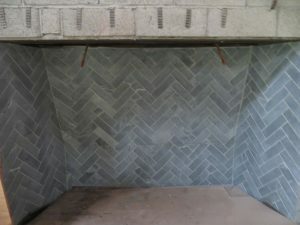 Soapstone bricks is of course non-flammable with a super high melting point, and talc is not chemically reactive to the caustic gasses emitted by burning wood, so it won’t stain or discolor in the same way as marble or limestone. Soapstone bricks is also non-porous so it won’t trap soot. 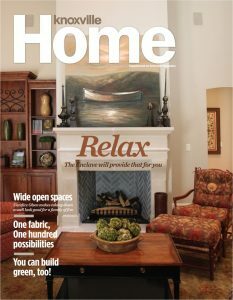 Will Soapstone bricks meet code? Yes, we have tested our Soapstone bricks and it meets ASTM C-1261 (Standard Specification for Firebox Brick for Residential Fireplaces). If you fire inspector requires it, we can provide a copy of the test results. Joints can be 1/8” or even thinner. Soapstone can be cleaned up using muriatic acid or any of the typical chemicals masons use to remove mortar stains or efflorescence. In fact, Soapstone bricks has historically been used for laboratory work-surfaces because of its resistance to acids and alkalis. Be careful using abrasive cleaners or tools to clean up Soapstone as they will scratch the surface (although it can be restored with fine grit sandpaper). Isokern™ and similar pre-built fireplace kits have their own recommendations on what thickness of firebrick to use. Fire clay bricks are not such easy to install. 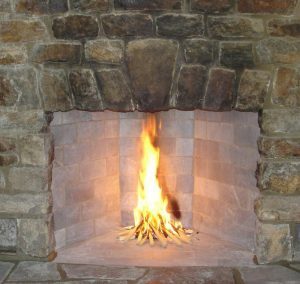 Soapstone firebricks should only ever be used to line masonry fireplaces that meet code requirements for minimum clearances to combustibles. 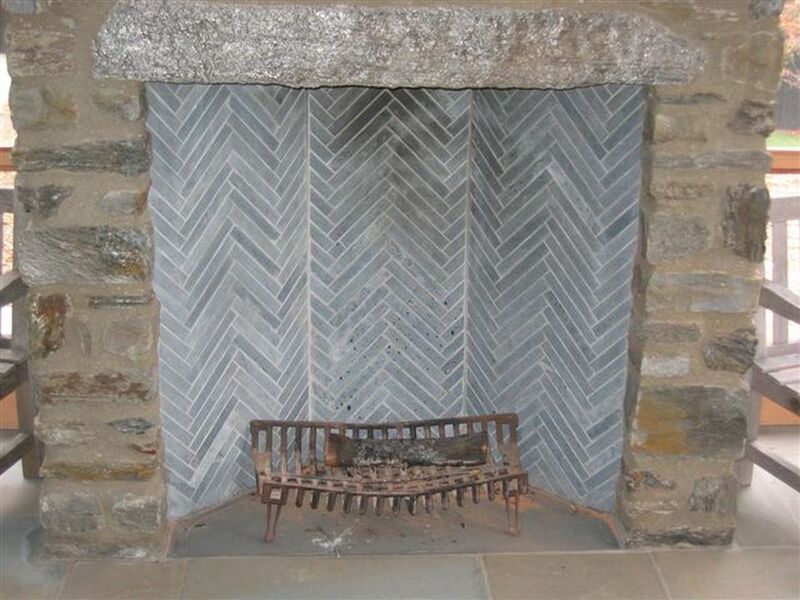 Soapstone bricks should never be used by consumers to line the inside of "zero clearance" steel fireplace units, because changing the lining material of such units voids the manufacturer’s warranty and changes the performance characteristics of these UL tested appliances. If you are considering using Soapstone bricks in an unusual or industrial application, please give us a call to discuss your idea further. Stonetrade® pioneered the reintroduction of Soapstone bricks for the US dimensional stone market in 1991. We are the exclusive importers of Mariana Soapstone™, the best variety of soapstone on the market, which has been featured on TV and in print. 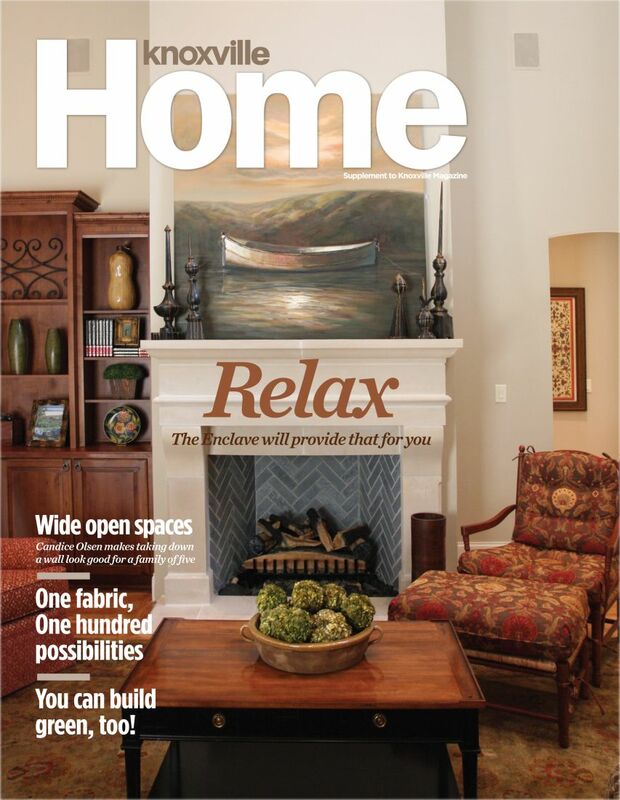 No one imports more Soapstone bricks and understands the material better than Stonetrade®.